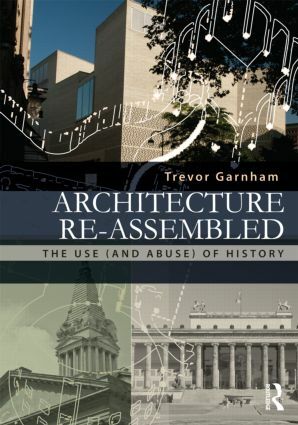 Beginning from the rise of modern history in the eighteenth century, this book examines how changing ideas in the discipline of history itself has affected architecture from the beginning of modernity up to the present day. It reflects upon history in order to encourage and assist the reader in finding well-founded principles for architectural design. This is not simply another history of architecture, nor a ‘history of histories’. Setting buildings in their contemporaneous ideas about history, it spans from Fischer von Erlach to Venturi and Rossi, and beyond to architects working in the fallout from both the Modern Movement – Aalto, Louis Kahn, Aldo van Eyck – and Post-modernism – such as Rafael Moneo and Peter Zumthor. It shows how Soane, Schinkel and Stirling, amongst others, made a meaningful use of history and contrasts this with how a misreading of Hegel has led to an abuse of history and an uncritical flight to the future. This is not an armchair history but a lively discussion of our place between past and future that promotes thinking for making. In what style should we build? Le Corbusier: for or against history?